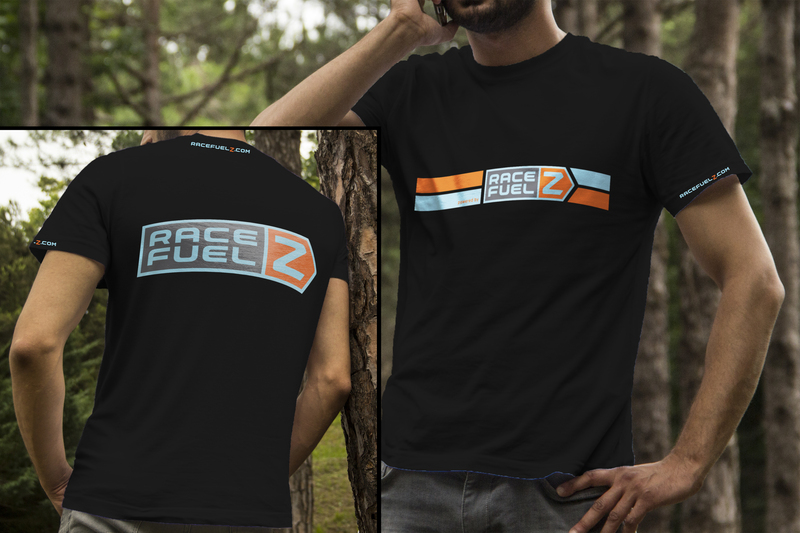 RaceFuelZ Orange and Blue T-Shirt Limited Quantities Available. 1 FREE stick pack with each order. RaceFuelZ Original Logo Distressed T-Shirt Blow Out Sale. Limited Quantities Available. First come first served! 1 FREE stick pack with each order. Discharge ink process which leaves no raised ink feeling on the shirt. Get Refueled and sport one of these super cool shirts around town.